Geological Frame is an experimental study of how humans shape and represent the Earth's landscape. Bui utilizes the most ubiquitous geometric form the rectangular volume and uses the grid to inspire unique land surveying techniques. Framed with brass and infilled with wood massing, these sculptural landscape microcosms reveal the richness of how we perceive the land. Di An Di is a Vietnamese Restaurant and Bar in Greenpoint, Brooklyn. The interior is meant to reflect the food and the culture of the restaurant itself - Fresh, bright, transportive, and driven by community. The design/build team led by Huy Bui in collaboration with Michael Yarinsky tapped into the finest in the Brooklyn Design Community to manifest the vision of the founders, Kim Hoang, Dennis Ngo and Tuan Bui. Custom lighting is by Ladies & Gentlemen Studio, wallpaper is by Calico Wallpaper and Flavorpaper, wood surfacing is by Madera Surfaces, and the custom banquette framework was fabricated in the neighborhood at A/D/O. Their name of the restaurant is an endearing phrase in Vietnamese between friends and families that translates to “Let’s go eat.” Brought to you by first generation Vietnamese-Americans, it features high quality Vietnamese food that's rooted in tradition but served in a contemporary, festive and resolutely New York setting. This is what the space delivers. 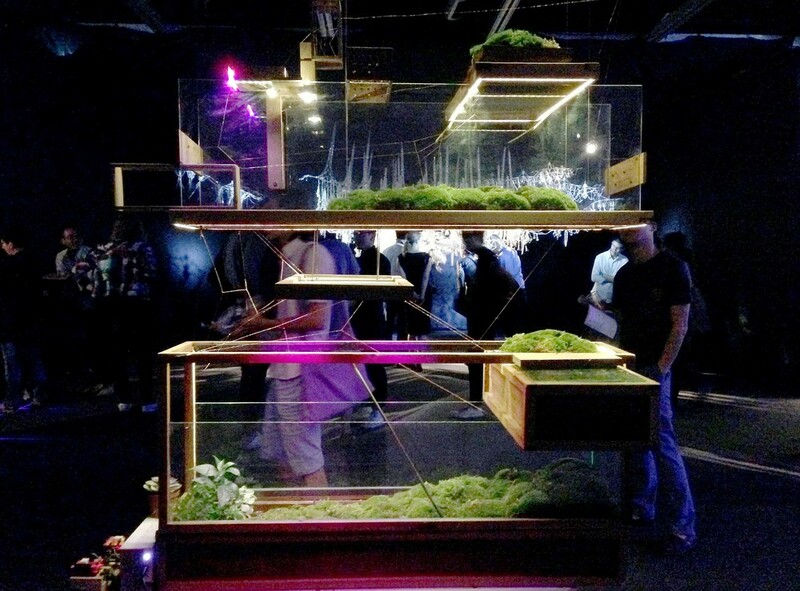 VERTICAL LANDSCAPES is a Plant-in City Installation suspended in space in the Retail Shop at A/D/O that occupies a vertical volume, staggered with a series of Plant-in TOPOs and Air Terrariums, wired, tethered into space, grounded by a GRID TOPO (A grid framework topography) embedded with moss and sandy elements. The project is an ongoing exploration of integrating the wilderness into the city and explore the metaphysical nature of flow. Huy Bui is a member of the Workspace at A/D/O since the Spring of 2017. The design and construction of the project was facilitated at the Workspace, where the craft of digital and analog fabrication merge. The project is a working model of how nature in the city can evolve. 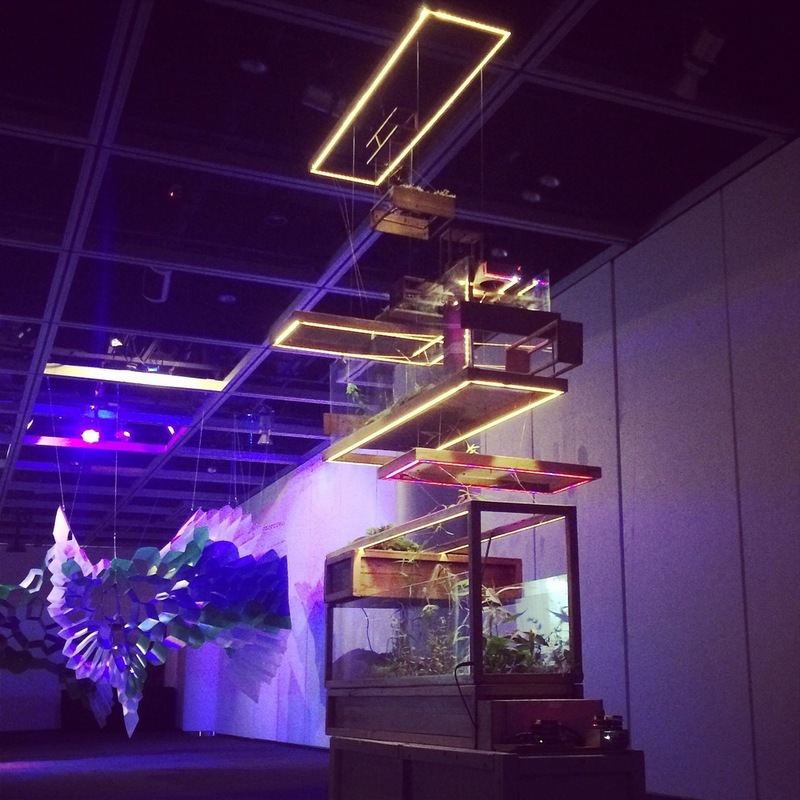 Further explorations include how environmental sensor technology, renewable energies and irrigation systems can be integrated into the modular watershed installation. This iteration of Plant-in City investigates the topic of, Art and Architecture in the Anthropocene, a new geological epoch where man has the largest impact on global ecology and how art and architecture can make an impact on this new era of human innovation and design thinking. This project explores how the flow of water and earth (sand, sediment) shape the environment in deep time a guiding principle to the design of Vertical Landscapes. 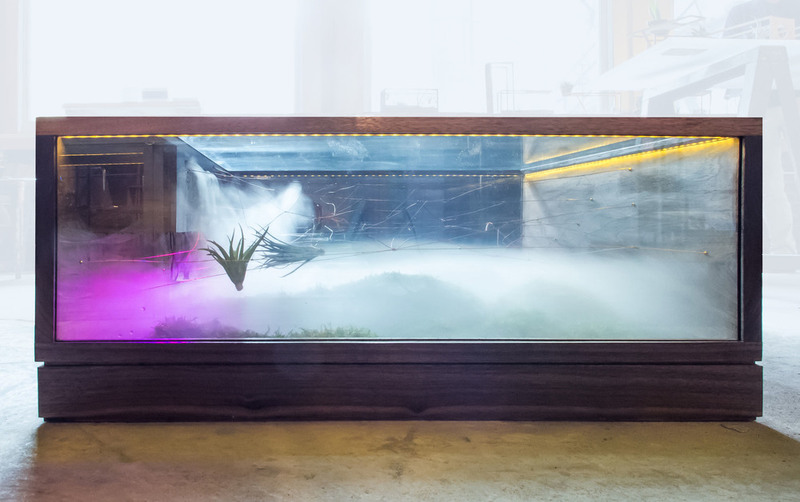 This terrarium was a collaboration with The Lowline Underground Park: A proposal of an urban green space in Lower Manhattan, The Lowline Lab. The spirit of the park is detailed in the materiality of the structure that features a charred blackening, Shou Sugi Ban process, of burning wood to protect wood from decay, pests, wind, water, sun and fire. 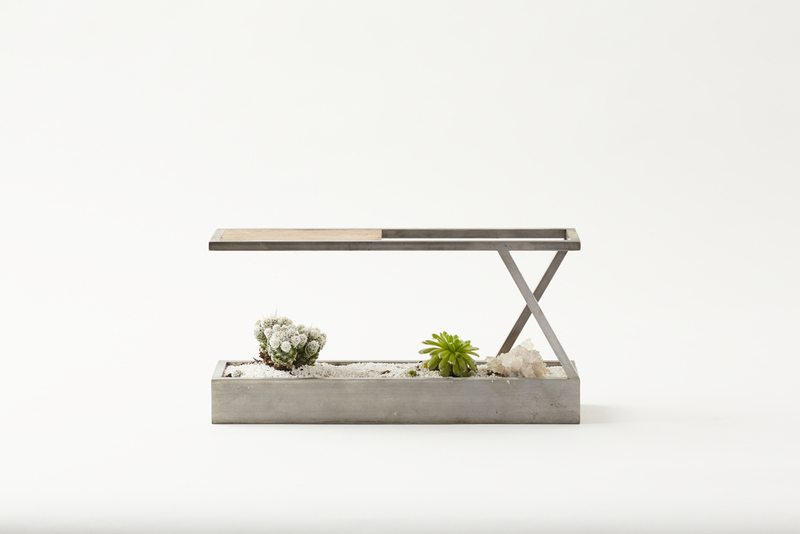 The terrarium structure also includes a steel and aluminum wire frame architecture that play host to air plants. ❄️ ... it’s all about vibrations … man. Over the past decade, we have developed a “resonance theory of consciousness” that suggests that resonance—another word for synchronized vibrations—is at the heart of not only human consciousness but of physical reality more generally ... We speculate metaphysically about the nature of consciousness as a more general phenomenon of all matter ... - Tam Hunt . . . ❄️Link to story on Scientific American in bio . . 📸Alex Kljatov . Blue Marble 🌏 . . The first color image of the earth, taken by the Apollo 8 astronauts 50 years ago.